Available in White, this smooth, air-hardening sculpting material is ideal for freehand modeling and creating realistic sculptures. No kiln or heat baking required for drying. Dries to an almost ceramic hard surface with minimal shrinkage during the drying process. Can be moistened while pliable to encourage piece to piece adhesion, smoothing & blending and to avoid cracking, colors can be blended together to create new colors or unique marbling effects. Air - Hardening Sculpture Material which dries to a ceramic hard, extremely rigid surface. Excellent detail & smooth surface characteristics. 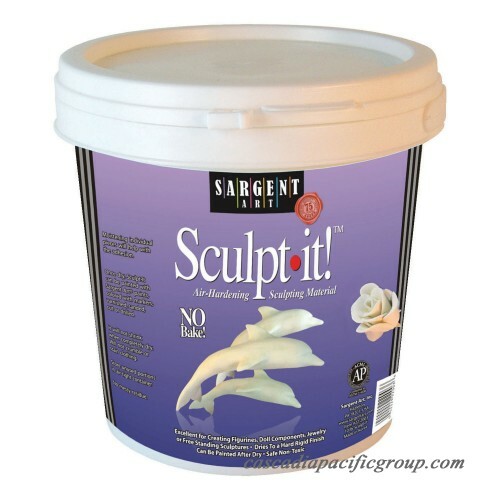 Great for making jewelry, figurines or sculptures. Can be painted, drilled, or sanded after drying. Available in colors or white. Non-Toxic. Sargent Art Sculpt It White Air-Dry Sculpting Material air-dries to a very rigid, durable hard finish with minimal shrinkage. 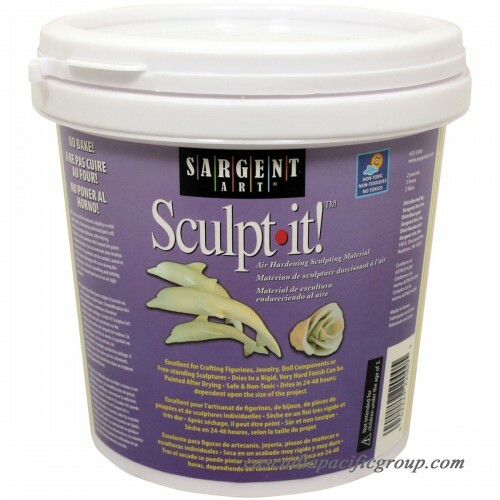 This non-toxic, smooth sculpting material is perfect for freehand modeling and creating realistic sculptures. No kiln or heat baking is required for drying. Your sculptures can be drilled, sanded, varnished and painted after drying.